AiClay - a Haven of Miniature Food: December . 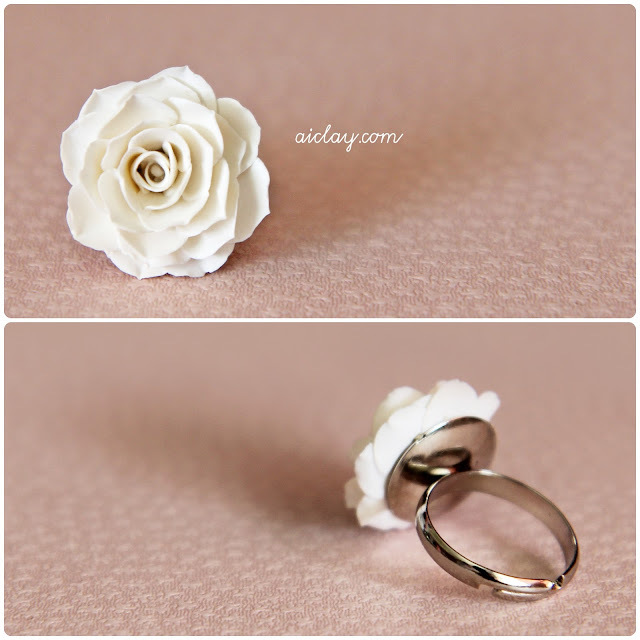 white rose on silver band. I've always thought December was a month of relaxation and fun and savoring the last weeks before the new year swings by. I really like the ring, and would definitely sculpt more next time. Maybe a different flower, a different colour. Some have expressed interest in earrings with the flowers, which I think would look as awesome. By the way, it's an adjustable silver ring, so it fits all ring sizes. I hope your December has been less hectic as mine, and you get time to reflect and ponder about what you've done in 2011 and what you wish to accomplish in 2012.
i love that ring! I will be following! Very detailed, i love it! 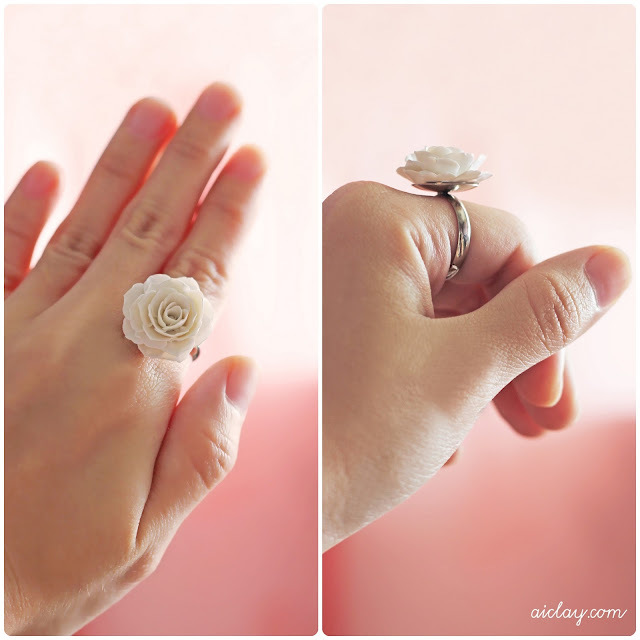 I ones made a bracelet with pink roses from fimo clay, but the petals brake of...any idea how i make it stronger? I wish you a happy and healthy 2012. A true work of art! LOVE it!! Is it made of polymer clay? WOW! You're so skilled and so talented. Hi Joojoo! thank you! Yup I sculpt with polymer clay only. :) and YOU are the talented one!